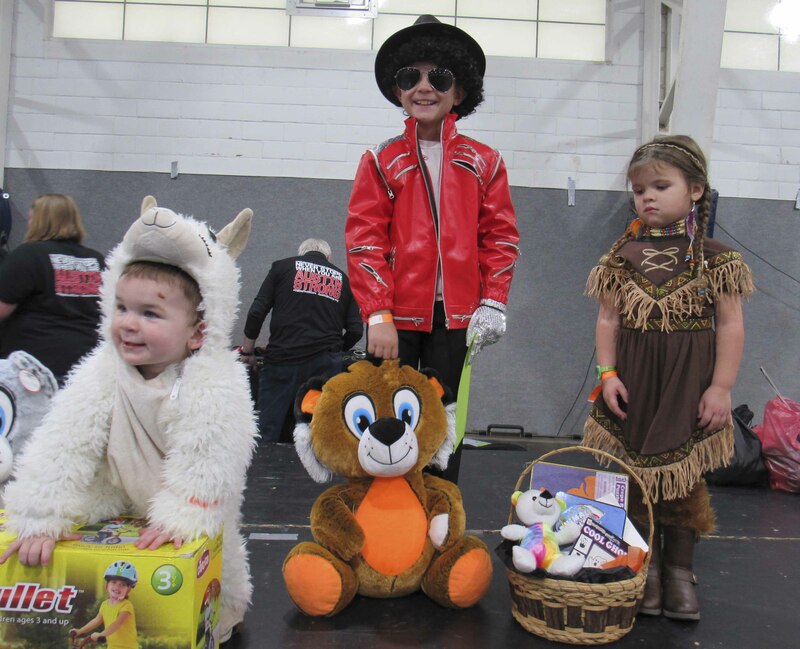 The Second Annual Austin’s Halloween Fun Day to Scare Away Childhood Cancer included numerous activities for kids of all ages and families. The event honors Austin Smith who passed away in 2016 from cancer. Austin’s birthday is also Oct. 28. The Fernandez family took part in cookie decorating. 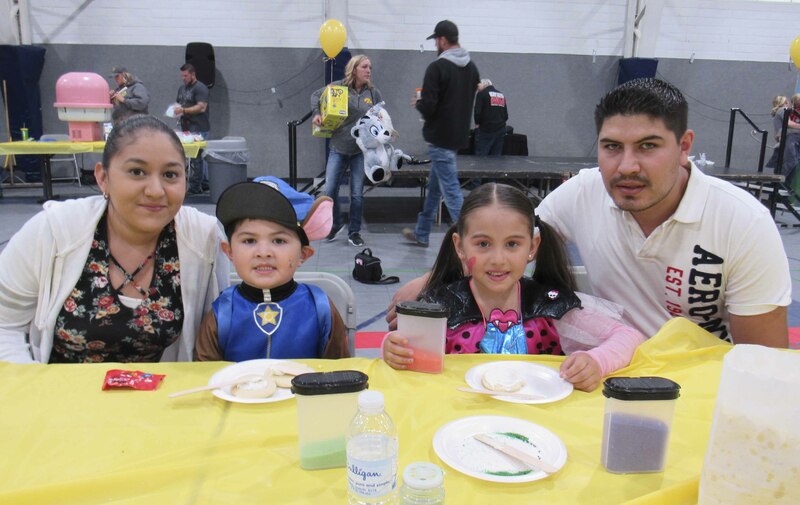 From left are Celene, Fermin Jr., Cynthia, and Fermin. Scarlett McDermott looks for her prize at the end of the fishing pole. 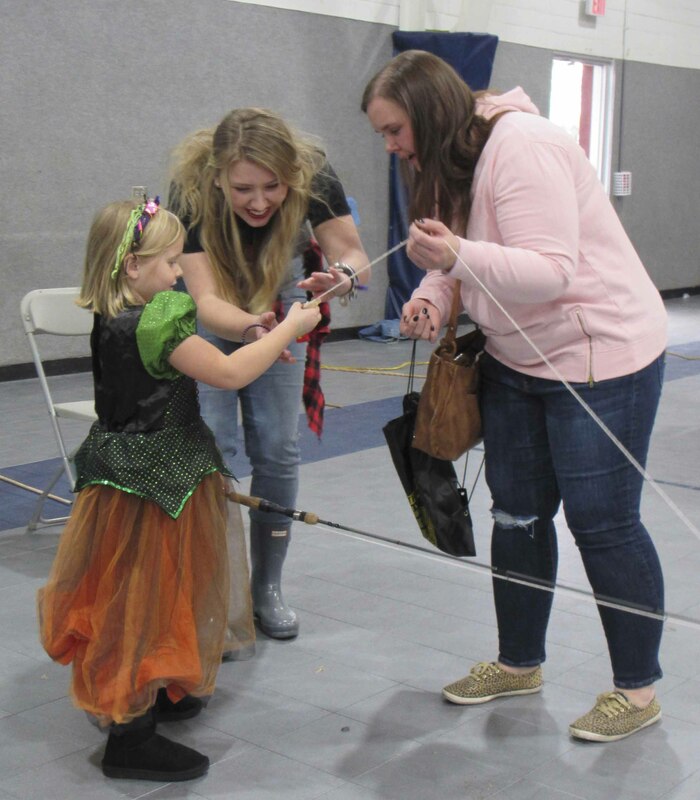 Assisting at the fishing pond at Austin’s Halloween Fun Day to Scare Away Childhood Cancer was Elle Boeding. Also pictured is Scarlett’s mom, Kellie McDermott.